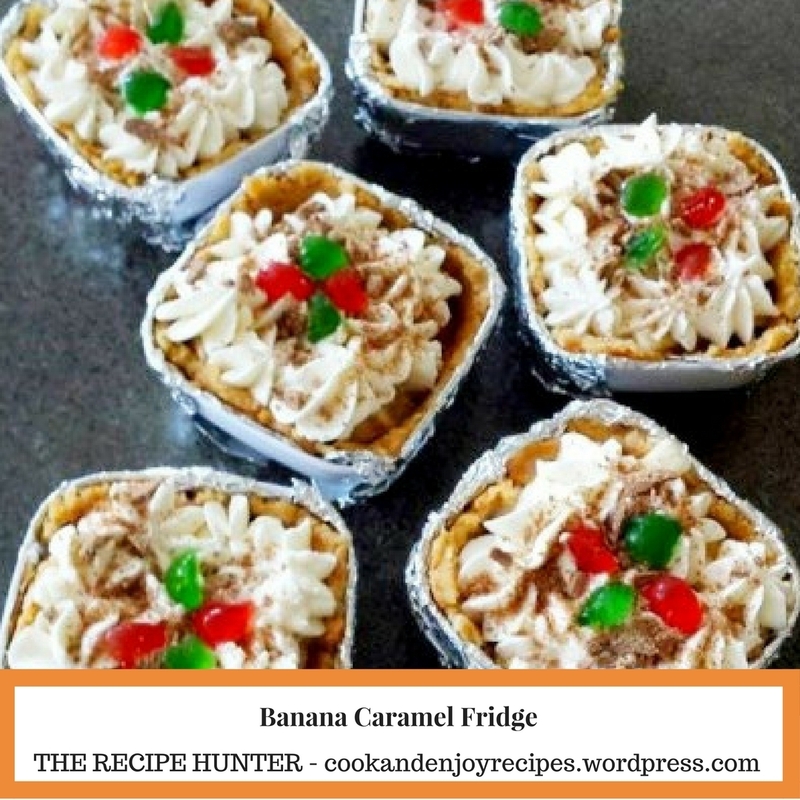 Banana caramel tart is an easy to prepare dessert. Quick to assemble and only needs to be put in the fridge to set. Crush Tennis biscuits very finely. Melt margarine in a small or medium pot. Once margarine is melted, remove off heat and add the crushed biscuits. Mix until crushed biscuits are coated. Line your 12-count standard size muffin tin with tin foil or use tin foil tart trays; layer your biscuit mixture (about 3mm thin) along the bottom and sides of your tins. Once the crust has cooled down and set, take it out of the fridge. First, open your caramel tin, give it a mix and then add an even layer first (around 2cm). Slice your bananas (quarter each slice if you are using a muffin tin). Add a single even layer of banana on top of the caramel layer. Whip up the cream to a stiff peak stage (be careful not to overbeat). Finish your tart with a layer of whipped cream on the top and crumble chocolate flake. Leave in the fridge for another 15 – 20 minutes for the tart to set. For the base, I only used 1¼ packet biscuits and then added ½ cup coconut before adding the margarine. Next time I will use less margarine. I think about 150g should be enough. I used a star nozzle to pipe the cream and added some green and red cherries for decoration.